Bacon fans rejoice! Bacon may well be on the menu for you soon in a version that’s healthier than kale. Researchers in the United States have discovered a strain of seaweed that tastes just like fried bacon, and has twice the nutrition of kale. Touted as the next superfood, the seaweed “is an excellent source of minerals, vitamins and antioxidants” (Chuck Toombs, a business researcher) containing up to 16% protein. It’s still early days, so we won’t be seeing this one on the shelves for a while. But if we do, sounds like a great one for vegetarians, vegans and those who are trying to cut down on meat. A sustainable source of protein? Insects have long been on the menu in some cuisines. However, it seems that Australia, US and UK are just starting to see the benefits in using insects as a source of sustainable nutrition. 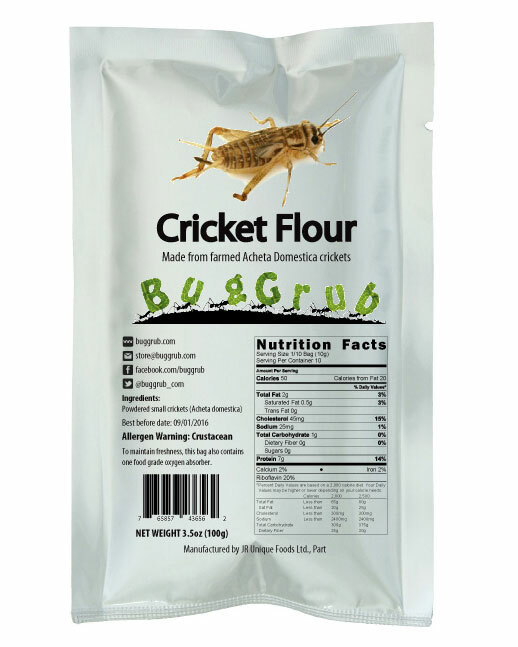 Keep an eye out for protein bars and baked goods made using cricket flour. It’s claimed that cricket flour is a tasty source of nutrition, packed with protein, healthy fats and micronutrients. The selling point is that it’s a more sustainable source of nutrition than your typical protein source (think beef and so on), as it’s competitively easier and cheaper to make. Is that a potato in my yoghurt? No, not potatoes, but don’t be surprised if you start seeing other vegetables appear in your favourite brand of yoghurt. A new concept, considered a first for Australia, is seeing yoghurt now flavoured with different vegetables. There has been a move toward mixing sweet and savoury foods in the past few years (salted caramel being a big one), with manufacturers experimenting with ways we can use this to our advantage by boosting the nutrient profile of products. Flavours currently include strawberry and beetroot, sweet potato and cinnamon or apple and carrot. There is currently one brand offering these yoghurts in Australia, and they score five stars on the Five Star Health Rating, and with each tub providing half a serve of vegetables it makes them a nutritious option. What new foods trends have you seen? Would you try any of these?